The Associated General Contractors of America was founded in 1918. It is a national non-profit trade association of more than 33,000 firms including 7,500 of America’s leading general contracting companies. The Waco Chapter AGC, was founded in 1946. In 1978, the name was changed to the Central Texas Chapter, to better denote service to Bell, Bosque, Coryell, Falls, Hamilton, Hill, Limestone & McLennan counties. 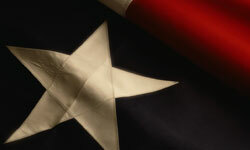 We are still located in Waco, Texas. CentexAGC serves as the voice of the construction industry at the local, state, and national levels of government, working to prevent changes that would adversely affect commercial construction. A wealth of resources are at your disposal, from help harvesting and printing project plans to free rental of our office space to getting your paperwork notarized, and a host of other services. 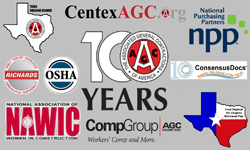 CentexAGC supports your continuing education by faciliating OSHA 10 & 30 Hour classes, and CPR & First Aid training. We have also resumed the Supervisory Training Program (STP) as of January 2018. CentexAGC has the only physical Plan Room in the Central Texas area, and maintains an Internet Plan Room (IPR) in cooperation with cProject. Members can review plans and specifications from Waco, Temple/Belton/Killeen and the surrounding areas. Enjoy AGC Discounts to Help You Save Money Everyday! There is a myriad of affinity benefits through CentexAGC membership. Money can be saved on Worker’s Comp insurance, vehicle purchases, gasoline, and cell phone plans. In many cases, these savings more that pay for the annual membership dues. 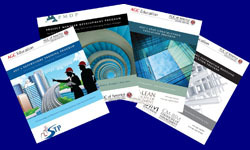 CentexAGC is proud to share the award winning projects our members have been working on. Click through to see current and past regional projects that have won the coveted Associated General Contractors Texas Building Branch Outstanding Construction Award. This year, a record 80 projects were submitted by eight different chapters and included 13 Specialty Contractor projects. Congrats to all of this year’s winners! Job well done!